Whether you visited the historic cobble stoned streets of Boston or fell in love with the mountains, valleys, and lakes of Burlington, Vermont, you’ve become infatuated with New England’s dream-like landscapes. Chock full of colonial history, delectable regional dishes, and charming foliage, New England can feel like home even to those who have never stepped foot into any of the six states that make up the northeastern region. Moving to New England comes with far more changes than just the four seasons. Before packing your bags and rushing into buying your picturesque dream estate, make sure you’ve made some pretty careful considerations. Between Massachusetts, New Hampshire, Rhode Island, Connecticut, Vermont, and Maine, there is plenty to bear in mind when selecting the best state for you and your future. With nearly 400 years of settlement under its belt, each New England state has its fair share of geographical quirk that may or may not be for you. So, what are you looking for? City slickers looking to enjoy the eclectic nightlife, diverse residents, and busy cultural hubs should set their sights on moving to New England’s hippest cities. Bustling with busy professionals, hustling creatives, growing families, and endless attractions, cities like Boston, Massachusetts, Providence, Rhode Island, Portland, Maine, Hartford, Connecticut, and Manchester, New Hampshire should be at the top of your home buying list. Small town lovers obsessed with quiet neighborhoods, sprawling greenery, and that nostalgic old-timey feel will have no difficulty finding a new place to call home in New England. 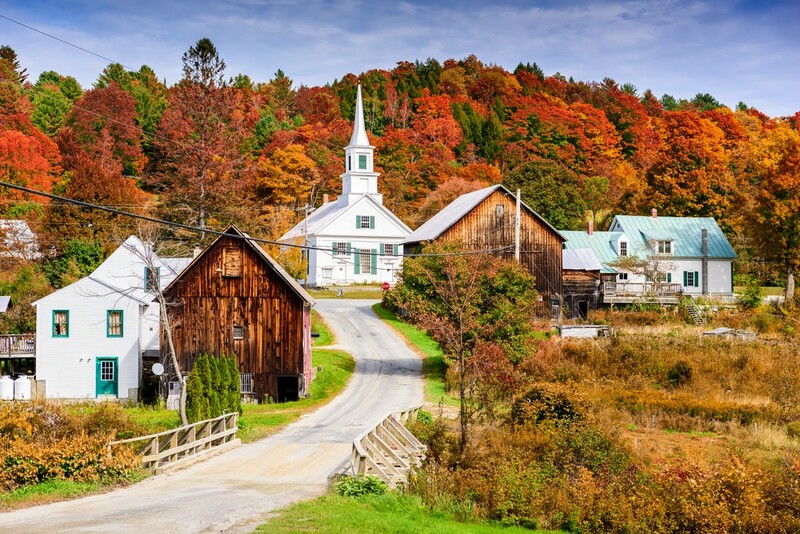 Outside of the cities and suburbs lie quaint towns like Milford, New Hampshire, Warren, Rhode Island, Southwest Harbor, Maine, and Grafton, Vermont. Perfect for outdoorsy folks who love privacy and peace, small-town home living has endless perks. Just because New England is home to some of the oldest infrastructure in the United States doesn’t mean it’s less expensive to buy a home. Even some of Boston’s oldest homes on the market can come with price tags in the millions. Having a comprehensive understanding of your budget before shopping around will make your home-buying process exponentially easier. Surveying the affordability of a town, city, or state is most easily researched by looking into the cost of living index. Within New England, every state with the exception of New Hampshire is categorized as having the highest cost of living indexes in the country. However, COL estimates vary from town to town, making Tiverton, Rhode Island a far more affordable option than the ritzier Newport, Rhode Island. When buying a home, your top concern is your mortgage. Typical home buyers put down 20% of their new home cost, and take the remaining 80% out with a bank or mortgage lender. Regardless of location, every mortgage lender will charge you a mortgage rate in addition to your monthly payments. However not all mortgage rates were made equal—on average NH mortgage rates tend to run lower than MA and CT rates. Typically where the cost of living is lower, mortgages and mortgage rates follow suit. Unlike many other parts of the United States, New England experiences all four seasons to their extreme. Sweltering summers and freezing winters come with plenty of 90 degree days and piles of snows only 6 months apart from each other. When shopping for a new home, carefully survey your ideal area’s typical climate. Areas that experience more snowfall tend to require more infrastructure upkeep than those that don’t. Challenging weather doesn’t only apply to your home, but your car, commute, and livelihood. Moving from a warm climate to New England? Gear up for blustery days and regular cold-weather related maintenance costs. Between heating bills and plow service costs, there are a number of unexpected costs that will add up each and every time winter rolls around. 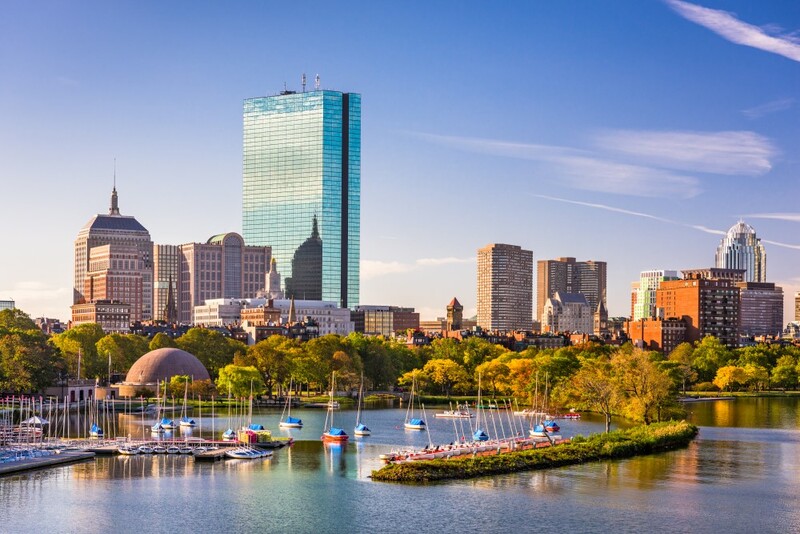 Home to a number of the most progressive and flourishing cities, New England’s growing economy aligns well with its reputable education systems and job markets. Whether you intend to start a family or are just following a life-long dream of moving to the Northeast, buying a home in New England is a decision you won’t soon regret. Revel in all the colorful foliage from the highest mountaintops or dance the night away in the many up and coming cities nestled in beautiful New England. Go out and see RADIOHEAD: A MULTIMEDIA EXPERIENCE!